Happy New Year my friends! With the holidays coming to a close, many of us find ourselves in a space of reflection. Looking back on the year both globally and internally. If we can enter this reflection from the present moment and in complete heart-space, we can honor and notice our own growth and the areas we have been stuck.  Are you ready to fully step into who you really are as you transition into a New Year, a New You? What am I grateful for that unfolded in 2018? Take some time in quiet space to identify those moments, experiences, and relationships that brought you joy, peace, love, or bliss. As you recall each memory in your mind’s eye, be fully present with it and feel those high vibrating emotions that you initially experienced. As we feel and express gratitude we attract even more to be grateful for as our journeys continue to unfold. If this has been a year of struggle, we can still find moments to be ‘Grateful‘ for or perhaps it is the struggle itself where our gratitude lies. It is in our grandest moments of adversity where we experience the most growth and expansion. What am I ready to let go of in 2018? Something has been standing in your way, preventing you from fully stepping into who you really are. An old story, belief, habit, job, or relationship. It is in our holding onto what no longer serves us that we create pain and suffering for ourselves. I have included songs like ‘Om Nama Shivaya’ in the playlist to remind us that there needs to be a death before there can be a rebirth. Another way of saying it is that we need to ‘Let Go’ of something in order to create space for the new. ‘Auld Lang Syne’ – bid farewell to the old. What do I intend to manifest in 2019? New Year’s Resolutions or Intentions, whichever language you prefer, get really clear on what it is you want. Health, love, prosperity, the list can be endless. Write your intentions down, use vision boards, or at the very least express your intentions to the Universe, God, Spirit, or whatever your connection is. Once an intention is released to the world, we then need to pay attention. The Universe will guide you to the people and experiences needed to manifest the intention but we have to notice what is being presented to us and willing to follow the guidance. Notice the synchronicities that unfold in your life. Notice those urges to call or write someone or to go somewhere. How will you ‘Celebrate’? I don’t mean how will you celebrate New Year’s Eve but how will you celebrate you? How will you celebrate you today and throughout this year? In the quiet of the stillness listen to your inner voice, your inner child, your essence. They want you to laugh more, play more, dance more, explore more. Can you honor this calling within you? Below is the music that will inspire and support you in these reflections. I would like to invite you to support these artists by purchasing the songs that you resonate with. 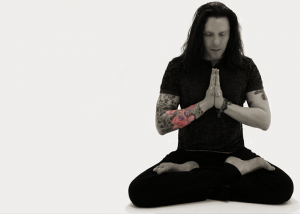 Shri Ananda is a certified Kripalu Yoga teacher, wellness coach, musician, and spiritual filmmaker creating music and stories to help us awaken to who we really are. Shri is a grounded and joyful yoga teacher who invites you to journey inward. His classes promote self-understanding, intuition, and transformation from the inside-out through mindful movement and breath work. Ananda is known for his themed ‘Gentle Spirit Yoga’ classes – combining gentle yoga with spiritual exploration through music . He is presently instructing at Tandava Yoga in Kelowna, British Columbia and hosts retreats around the world.